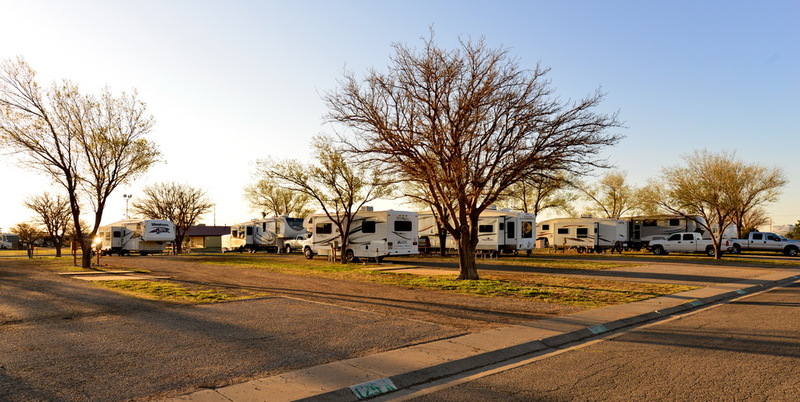 First stop in Texas after towing 432 miles was the Amarillo Ranch RV Park. 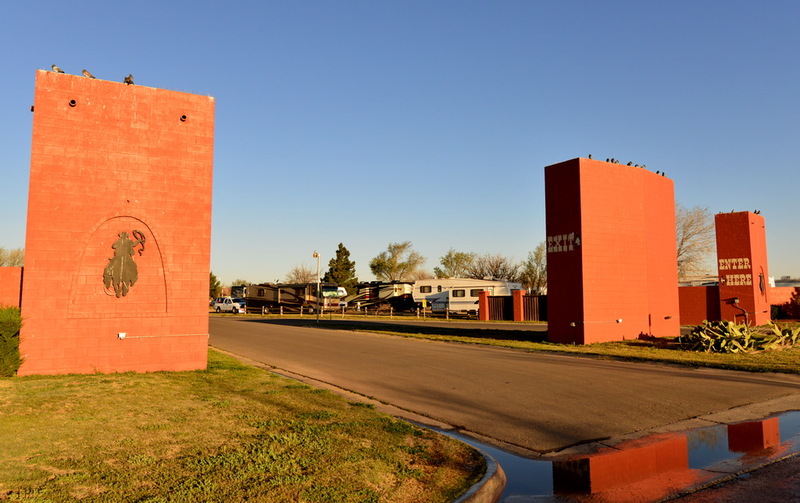 Just west of downtown Amarillo off Route 40 ~ the Ranch is a nice place for a one night stop over. The sites are bare with mostly dirt and gravel (very little grass) but, spacious and full-hook ups. The staff at the front desk was very friendly and most sites are pull-through. We were in spot #120 and it was perfect for a one evening stay. They are pet friendly, have good wi-fi and cable, a pool, clubhouse, pavilion, showers, coin laundry and a fenced pet area (not big enough for Otis but, oh well!!). Rate: $33 per night less Good Sam or AAA discount. 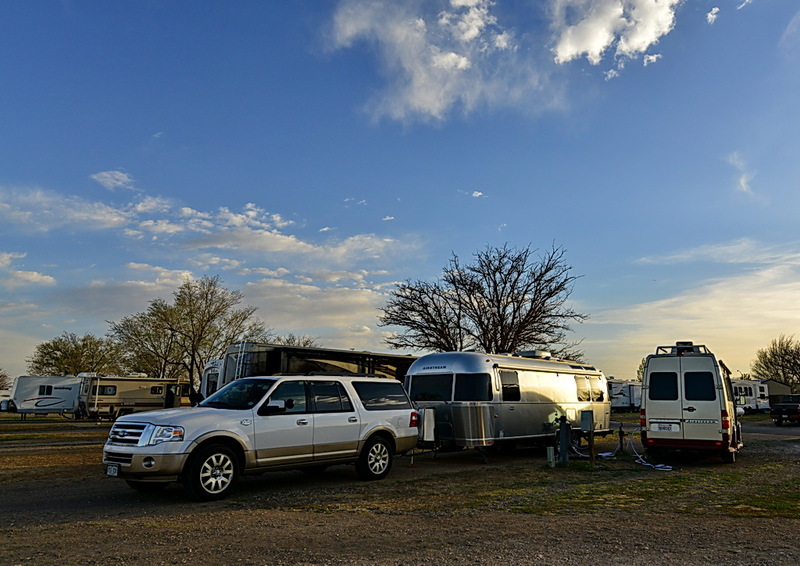 I would recommend the Ranch for a nights stay because it’s easy access off the highway and a breeze to check-in and move on out the next morning! 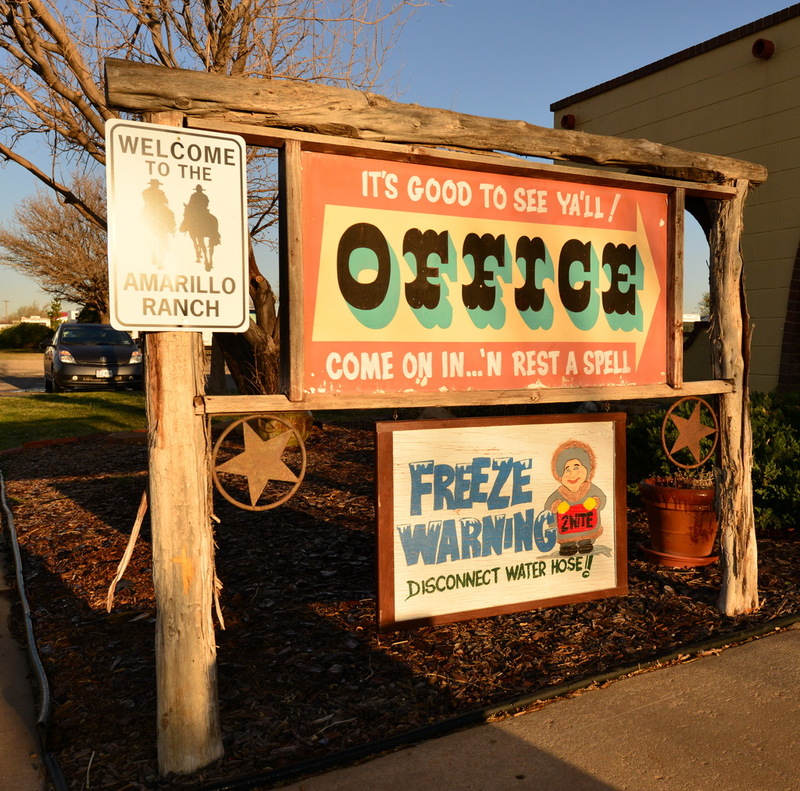 A few local attractions in Amarillo: American Quarter Horse Museum, The Cadillac Ranch, Palo Duro Canyon and the Panhandle-Plains Historical Museum. 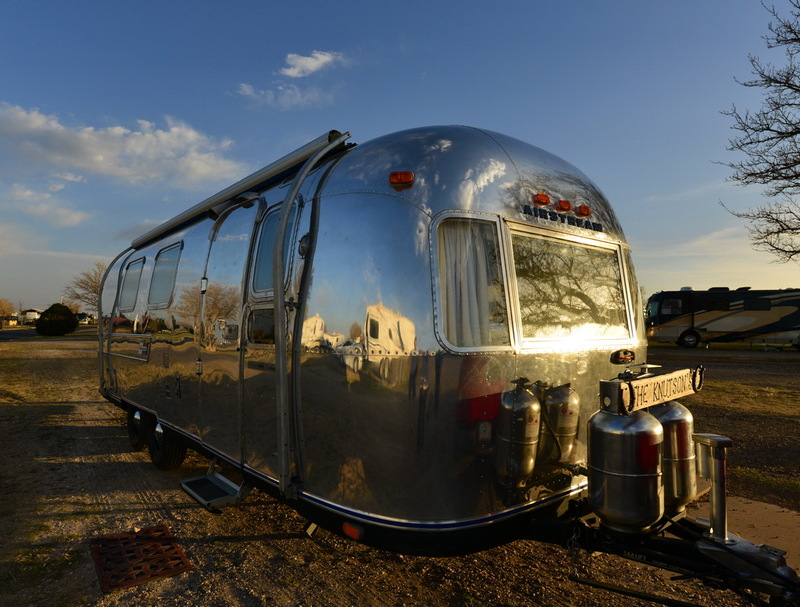 We met the nicest couple from Texas who were heading to the Vintage Trailer Academy in Albuquerque, NM. 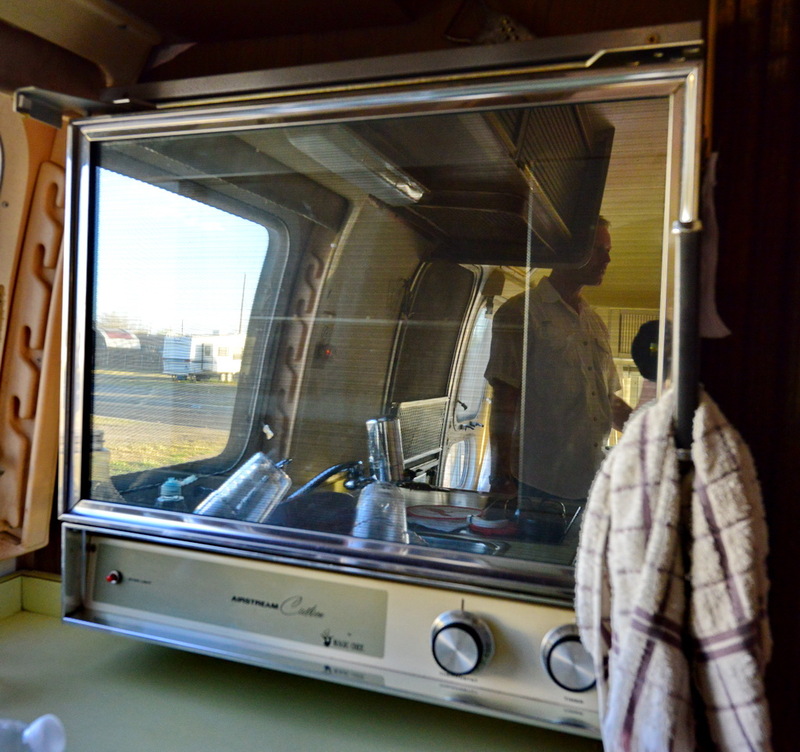 They restored their ’73 International Airstream and it’s gorgeous. They invited to give us a tour and we reciprocated and gave them a tour of Beatrice. Check out the original wall mounted oven that still works perfectly! 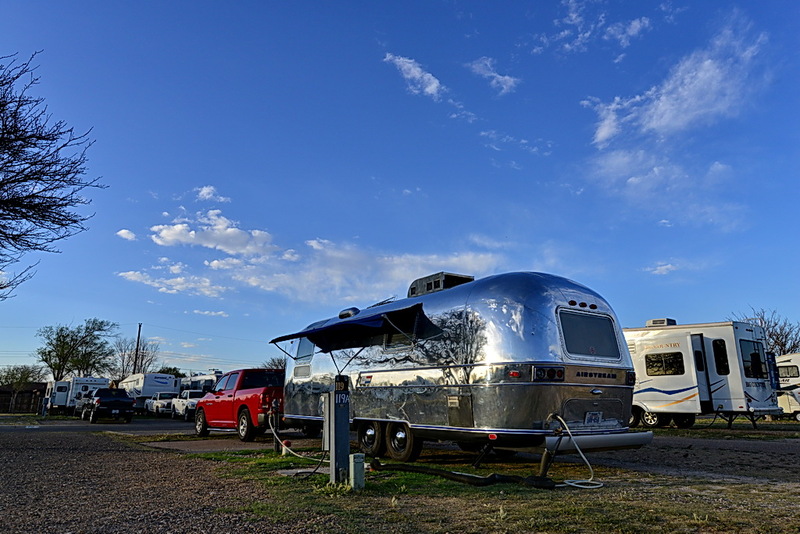 Airstream owners are the nicest peeps I have ever met. Always wanting to share travel stories and just sit awhile and chat! One of the many aspects about traveling in my Airstream that brings me much joy! Hi Jesse! I hope you get an Airstream one day too!!! Cheers! What have you two been doing? Are you full-timing? Do you love your AS? We have emptied the house and moved to ??? (no names fit her yet) in feakin’ February! Froze our butts off! House has not sold FSBO. We are staying until the end of June as camp hosts at Monte Sano State Park. After that, taking the grand kids to the Smokies. It has been a cold, wet winter. Low 40’s last night! I think I want to move to the desert. Speaking as a Texan- yes, Amarillo is a decent stop for 1-2 days (except during the summer). And the folks are certainly friendly! Travel on & be safe. Thanks, Beverly! We had a marvelous trip. Just getting caught up and writing about it now. 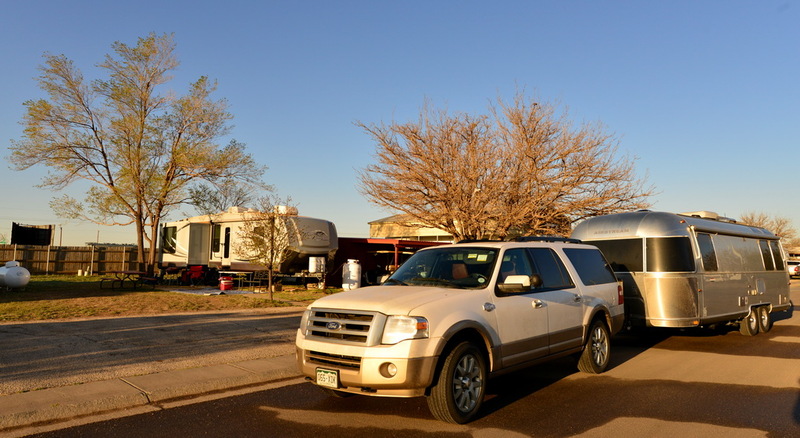 Theh folks at Amarillo Ranch RV Park were very nice people and we will stop there again. Cheers!! Thanks for the kind comments, Anna. I think you made our Airstream look even better with your magic camera. We had a great time in Albuquerque, but are now home looking forward to our next rally next week! It was good meeting you and Paul, and I agree that Airstreamers are the nicest people. Richard, it was so great meeting you and your wife. You made our Amarillo stay extra special. Glad you had safe travels. Hope to keep in touch and please let me know your blog so I can follow!! Cheers!! Our blog is traveluminum@blogspot.com . Your pictures are great, and make me want a better camera. Always something! Thanks, Richard. If you want higher res of some of the pics I took of your Glamper, I would be happy to email them to you. Just send me an email and I’ll forward those to you. I’ll check out your blog now. Cheers!!! Apparently our blog is traveluminum.blogspot.com . I’m new at this, and trying to leave the Stone Age. Not as easy as our kids make it seem.